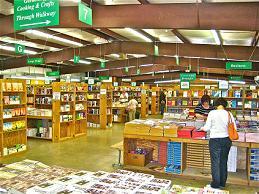 The Green Valley Book Fair is located a little south of Harrisonburg, Va in the Shenandoah Valley. It’s only open six or seven times a year, but it’s awesome. They have about a half-a-million new books, and they’re 60% to 90% below retail. There’s also a huge history and political science section so I like to go out there at least once a year and stock up. I’m about half-way through last fall’s pile and I just finished The Arabs: Journeys Beyond The Mirage. I liked the book even though I’m ridiculously racist. After all I’m still the same guy who avoids the sun because every time I get a tan I attack the mirror because I think a dangerous minority has broken into my home. The author of the book is a journalist, not a historian, and the book reads more like a travelogue than a scholarly work. The book was also written in 1987, partially updated in 2002, but still feels out-of-date. Oddly enough, that was one of the things I liked about it. It was like reading a time capsule from the period around the end of the Cold War but before the game-changing events of 9/11. It’s also a quick read that you can pick up and put down without losing the flow of the narrative. That also makes it a great book to keep on the back of your toilet.